My daughter is all into ponies right now and owns just about every horse toy they make. The only horse thing she doesn’t get into is My Little Pony because they are “lame.” I think I agree with her for the most part, but I have just found one thing having to do with the My Little Pony franchise that is cool. If you are a PC gamer that has a soft spot for Skyrim, you will want to check out this mod. It’s called the “Pony Dragon mod” and comes to us from a modder going by zdzichorowerzysta. 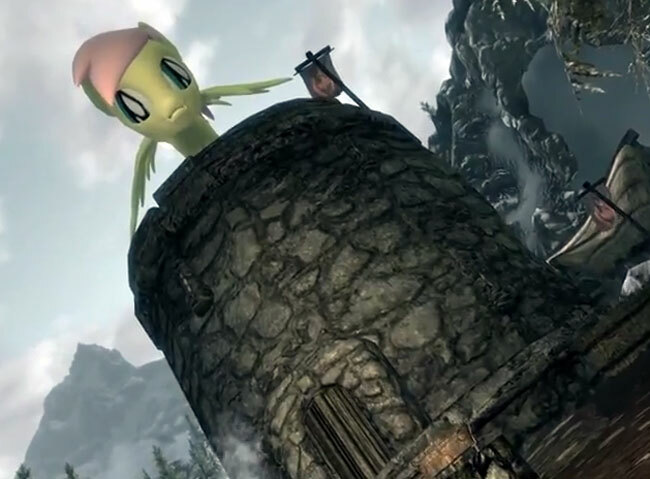 The mod replaces the fierce looking dragons with the cute My Little Pony flying horse. It’s hard to be afraid of a cute pony, until it breathes fire and you take an arrow to the knee. The mod can be downloaded right now for free. So far, 416 people have downloaded it in two days.